Greater Yellowstone is a place where people can experience the unparalleled wonders of one of the world’s most vibrant ecosystems. We believe Greater Yellowstone will remain healthy and wild only if it is kept whole. Two foreign mining companies are planning job-killing, toxic gold mines bordering Yellowstone National Park--one of which is less than a half mile from the park boundary. Two gold mines in operation directly outside Yellowstone threaten private property rights, the Yellowstone River's clean water, and the already thriving local economy. We're working closely with local landowners, business owners, elected officials and our conservation partners to close the door on these potentially disastrous mines. Please click here to read our blog. The Gallatin Range is the last large mountain range adjacent to Yellowstone National Park not permanently protected. Primarily located within the Custer-Gallatin National Forest in Montana, we are working to protect 250,000 acres of critical habitat for grizzly bears, wolves, elk, moose, and the elusive lynx and wolverine. Our goal is to protect this area of pristine, wild country on Yellowstone’s northern border through legislative and administrative solutions. The Forest Service is currently accepting comments on the Forest Plan Revision and we need your voice! The Absaroka-Beartooth Front lies east of Yellowstone National Park and is perhaps the wildest part of Greater Yellowstone. It includes the nation’s first national forest – the Shoshone – which supports an incredible array of wildlife. 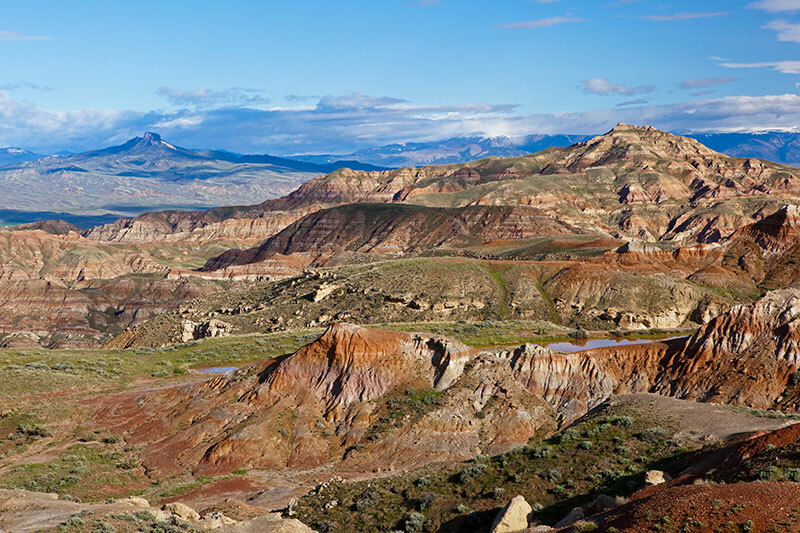 The Bureau of Land Management administers parts of the Front and the adjacent Bighorn Basin, a stunning network of sagebrush and badlands. Our goal is to work with our members and supporters to protect approximately 1.6 million acres of public lands in this area from oil & gas development, off-road vehicle use and other harmful activities. The land between the three great ecosystems of the Northern Rockies – Greater Yellowstone, the Crown of the Continent and central Idaho’s vast wilderness – is a complex matrix of public and private lands along Montana/Idaho border and northward, often referred to as the “High Divide.” This area is key to connecting some of Greater Yellowstone’s most iconic wildlife, such as the grizzly bear and wolverine, with other large protected areas. By working with landowners, elected officials, federal and state agencies, and our land trust partners, we aim to protect and restore the natural connectivity of lands so that wildlife can safely migrate and connect with other populations. Ultimately, our goal is to protect 700,000 acres of public land through a combination of administrative and legislative designations, as well as more than 30,000 acres of private land through conservation easements. Just beyond west Yellowstone are the sand dunes and volcanic buttes of eastern Idaho’s Snake River Plain. Solitude and recreational escape are easily found in the sagebrush expanses that boast pronghorn, sage grouse, moose, elk and more. Idaho residents and visitors enjoy viewing and hunting migrating big game, but unconstrained motorized use threatens habitat and hunting traditions. For the first time, you have a chance to protect key areas of the Upper Snake. Click here to make sure balance is created to safeguard Yellowstone’s wildlife into the future.